On January 24 (2019), for the first time at the state level, was celebrated the Foreign Intelligence Day of Ukraine. Thanks to the Presidential Decree (dated November 22, 2018), Ukrainian foreign intelligence officers now have their professional holiday. In the different periods of modern history, intelligence officers celebrated firstly the Day of signing the official structure of the Main Directorate of Intelligence of the National Security Service of Ukraine (December 28, 1991), and then shortly after the adoption by the Verkhovna Rada of Ukraine on December 1, 2005 of the Law «On the Foreign Intelligence Service of Ukraine». Date chosen on January 24 is not accidental. 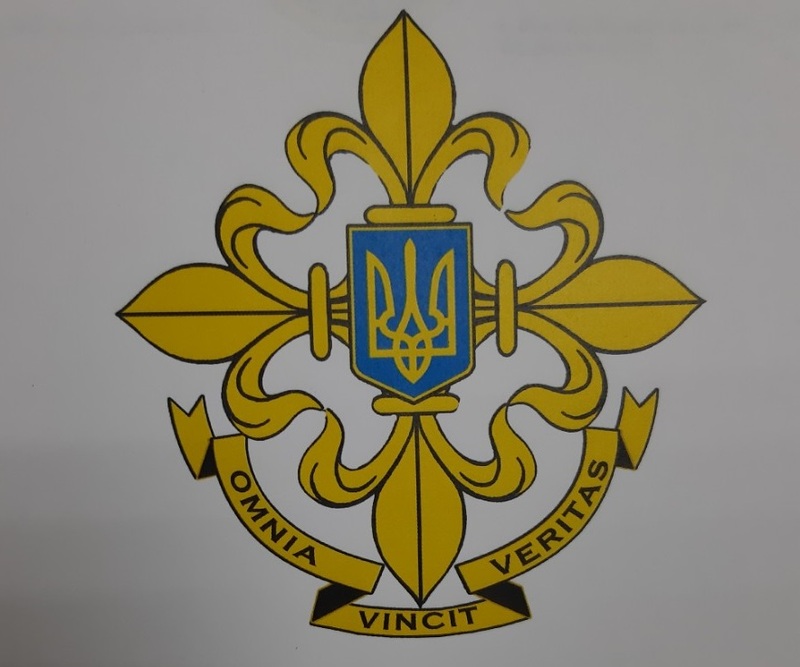 On this day, in 2019, the 100th anniversary of the creation of the first unit of the nationwide foreign intelligence in Ukraine is celebrated. From this day in 1919, within the Political Department of the Directory of the UNR a division of foreign information began to operate - for conducting intelligence work on the UNR active enemies (Red and Volunteer Army headquarters), as well as in the countries - potential opponents of the republic and possible allies. So, it was the unit of external intelligence itself. And before that, at the time of Central Rada and the Hetmanate, the intelligence was military and was part of the UNR Army General Staff. Especially to this date, Oleksandr Skrypnyk, an intelligence history researcher, wrote a book "Ukrainian Intelligence. 100 Years of Struggle, Confrontation, Achievements", which has been just published by "ADEF-Ukraine". In this book, based on scientific, memoir and other sources, declassified documents from the Foreign Intelligence Service and the Security Service of Ukraine archives, his own studies, the history of intelligence activities in Ukraine from the time of the UNR to the present is depicted - a complex, thorny, peculiar and unique path of struggle, confrontation and achievement. The author separates from the century-long history of the special services of Ukraine the conceptual milestones of the origin and activity of the Ukrainian in essence and content intelligence, and tries to convey this information, in an accessible form, to the general public. Several parts of the book are devoted to the tense confrontation between the Ukrainian national special services and the Soviet state security agencies. The story is well illustrated with photographs, documents from the special services archives, schemes, numerous citations of those who at different periods were related to intelligence activities in Ukraine. Today, Vector News exclusively publishes an excerption from this book, which deals with the birth and activities of the first unit of the nationwide foreign intelligence in Ukraine. It is natural that at the time of Central Rada and the Hetmanate, the intelligence was military. These priorities were originally preserved also under the UNR Directory. This was explained by the fact that during this time, armed confrontation both within the republic and on the external fronts did not stop, requiring regular receipt of intelligence against the enemy, primarily of a military character. But gradually military intelligence and the military attache began to assign functions and nationwide foreign intelligence: extracting, collecting and studying information about the political situation in the countries that were objects of interest, their military-economic potential, creating positions of influence in order to find allies in the recognition and guarantee of the sovereignty of the Ukrainian state. This was most pronounced in the days of the UPR Directory, when, along with military intelligence and counterintelligence, national intelligence and counterintelligence began to operate. These special bodies were created within the Political Department (PD), which was structurally part of the Ministry of Internal Affairs of Ukraine (MIA) of the UNR. They received the following titles: Department of Internal Information (DII) and Department of Foreign Information (DFI). The Department of Internal Information was the largest in number (216 officers) and was intended for counter-intelligence activities and the fight against anti-government actions. The Department of Foreign Information (13 officers) had to carry out intelligence work on active enemies of the UNR, such as Red and Volunteer Army headquarters, as well as against the countries - potential opponents of the republic and possible allies. In essence, it was the first unit of the nationwide foreign intelligence in Ukraine. It started its operation on January 24, 1919, from the date of approval of the provisional structure of the MIA Political Department. At different periods, the Department of Foreign Information was headed by A. Tkachuk, D. Levytsky and Teodorovich. And at that time, the Political Department was headed by Mykola Chebotariv (pictured), who was well versed in intelligence and counterintelligence. In different periods of that time, he was the head of the counter-intelligence unit of the intelligence department of the Efficient (Dieva) Army of the UNR, the head of the special service of the UNR State Center in the exile. Department of Internal Information and Department of Foreign Information had the status of operational units. They used classical methods and instruments of the special services, the main of which were the agents, its secretive use and implementation. For this purpose, an instruction was developed for agents of "political intelligence and counterintelligence". The Department of Foreign Information had the status of a military organization. Admission to the service was carried out in accordance with the "Rules on the admission of employees to political information divisions", developed in the department. A citizen was required to submit a written request and fill out the relevant questionnaire, in which, along with the general information, he had to indicate in which service he was till 1917, what he did since March 1917, what foreign languages he knows and level of proficiency in the Ukrainian language. In addition, candidates were requested recommendations from the Ukrainian parties or from at least two of their members, as well as written evidence that the applicant was not involved in the Bolshevik, Russophile and other hostile to the UNR movements. Persons working in the political search bodies of the Bolshevik or other invaders of Ukraine were not allowed to work in the department. All submitted information was thoroughly checked. Persons revealed in insincerity were punished by an administrative arrest from one to five months or were prosecuted if it became aware of attempts to penetrate into the Ukrainian intelligence with a hostile purpose. All employees, after enrolling in the service, took special vows-oaths on the honest and conscientious fulfillment of the duties assigned to them in the interests of the Ukrainian state. For qualitative selection of personnel in the departments of political information and recruitment of valuable agents, payments were made from the secret fund to the heads of divisions, their assistants and employees - monthly allowances up to 25 per cent of the established salary. Since February 1919, the DFI was located in Vinnytsia. In a short period of time it was became possible to establish agents network in Odessa (region of activity of Entente, Volunteer and Polish armies), in Kiev (Red Army), in Kharkiv (to counteract special agencies and military formations of the Ukrainian Soviet government) and in Romania. In addition, through the operational capabilities of the Department, the Head of the Directory Simon Petliura studied the attitude of governments, political and business circles of a number of Western powers to the problems in Ukraine, and realized plans for influence on them and their likely use. In order to obtain the necessary information, the Department actively used the capabilities of diplomatic missions and other institutions of the UNR abroad, as well as the Ukrainian diaspora and foreign sociopolitical circles who sympathized with Ukraine's struggle for independence, and sometimes also helped with concrete actions. The activity of the Department of Foreign Information is evidenced by repeated mentioning of it in the documents of the All-Russian Extraordinary Commission. At the same time, there was no successful operation of the agents' penetration into the Bolshevik Party and government structures, the Soviet security agencies and their intelligence apparatus. In the context of large-scale military operations, the evacuation of the government from one city to another, the lack of skilled personnel and sufficient funds to finance the planned measures to organize the full functioning of the Ukrainian foreign intelligence unit during this historical period was very difficult. At the end of 1920, the UNR Army under the onslaught of the Bolshevik forces was forced to leave the territory of Ukraine and move to Poland and Romania. Separate units remained on their native land and led a partisan struggle with the Bolsheviks. The Head of the Directory Simon Petliura, along with government institutions, was in Poland, mainly in Tarnow, Warsaw and Częstochowa. The Polish authorities in this situation provided legal grounds for such activities. November 12, 1920, the State Center of the UNR began to operate in the exile. The State Center (SC) became a body of authorities and included the emigration government of the republic with the relevant ministries and departments. The Center took care of the lives of Ukrainians in a foreign country, coordinated the national, political, scientific, cultural, educational activities of Ukrainian centers and became a peculiar expression of the struggle of the Ukrainian people for the restoration of their independence. Taking into account new conditions one of the priority tasks of the emigration government was reformation of the special services. Without solving this issue, it was impossible to continue the armed struggle with the Bolsheviks in Ukraine, to establish cooperation with the security authorities and special services of Poland, to ensure its own defense against all kinds of hostile attacks. Under the current governmental structure of that time, the Department of Political Information (DPI) continued to operate as a special service of the national level. After some reorganizations in MIA, the general, internal, foreign, registration, press divisions and communications division, which was to provide uninterrupted contact with partisan-rebel and underground groups in Ukraine, started to work there. In this new structure, the internal department was entrusted with the functions of counterintelligence, and foreign (intelligence) - external intelligence. At the first stage of its existence, the DPI leadership developed a series of documents defining the main tasks and organizational principles of the Department's activities. In the first place, it was necessary to create a ramified agents network that would cover the whole territory of Ukraine. In order to maintain a constant connection between the DPI and all its agents in Ukraine, it was envisaged to create 2-4 stations on both sides of the border, namely over Zbruch and Volyn. Each county should have at least two agents that would work independently of each other and send information to the border chief of station for further transmission to the DPI. 12 couriers were envisaged for communication and control over the work of agents in the field. In addition, it was suggested that agents be held in places where many Ukrainian refugees or Ukrainian political parties and organizations reside. - permanent and appropriately involved employees who provided relevant information without any salary, only on the basis of their patriotic duty and attachment to the authorities of the UNR (only money they spent in the interests of political intelligence: for travel, communication, catering, etc. were returned to them). In this regard, in one of the reports of that time to the Council of Peoples Ministries of the UNR, the head of the Interior Ministry stated: "In order to carry out its tasks effectively, the Department of Political Information should involve people who are politically educated, patriots, for whom the aim of obtaining Ukraine’s independence would justify any methods, persons who would co-operate with the Department knowingly, without being ashamed and not for the money alone ". DFI paid a lot of attention to maintaining links with agents who had already acted on the territory of Ukraine, and recruitment of new sources of information. To do this, through the so-called "windows" which were reliably equipped by communications division, foreign intelligence officers and agents were transported abroad. In this way, practical assistance was provided to partisan detachments and underground organizations operating on the territory of the Ukrainian SSR. For example, in 1920, an employee of the department, Ivan Romanivsky, was sent four times to Ekaterinoslav, three times to Kyiv region, twice to Kherson oblast, at one time to Vinnytsya and to the Omelyanovich-Pavlenko army. With similar tasks he went through the border to territory of Ukraine later on too. The report of the Political Information Department foreign division for 1921 states: "In January 1921, chief of station ”B” resumed a lost connection with ten secret informants in Proskuriv, Volochysk, Chornyi Ostriv, Klymashivtsi, Vovkovitsy, at Kosharivtsi station and other towns. In addition, he managed to involve three officers of provincial and military institutions and a telegraph in Zhmerynka and Vinnytsia. Total number of available staff - 12 agents and two liaison men". Materials that characterizes the work of the foreign division during this period indicate that intelligence activitie was of great importance to the DPI leadership. At the same time, this work has just started and its results were not sufficiently effective, and the scale did not make it possible to fully assess the state of affairs in Ukraine.